So…what happened if a blockade runner was captured? What happened to the ship? The crew? And what would a captain do to prevent capture? Today, we’ll continue our discussion of blockade runners bringing supplies to the Confederacy during the Civil War, focusing on a relatively common circumstance, but one that every Southern captain wanted to avoid. A captured ship meant loss of supplies entering the Southern states and loss of profit for the owners, captain, and crew. Union blockade ships were supposed to prevent runners from bringing supplies into the Confederacy. Thus, capture was the goal to achieve and avoid, depending on which side the ship was on. Using an element of surprise against their reactive pursuers, blending into the coastline, and “flying” over the water at record speeds, blockade runners had a chance to avoid capture. Many did. However, many others were captured – particularly later in the war. When a Union blockader captured a Southern runner, the captured ship was towed or escorted to a Union occupied port. There, a specially appointed “prize court” looked at the ship’s records, riffled through the cargo, and interviewed the crew and witnesses – all to determine if the was actually a blockade runner. 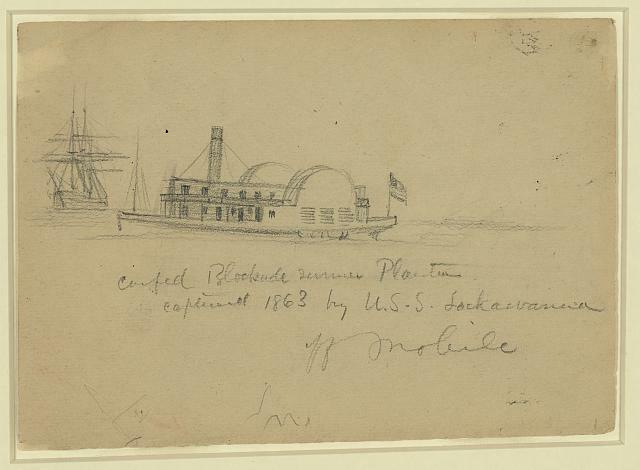 If the ship was intended taking supplies in or out of the Confederacy, the cargo and ship were auctioned. Often, the U.S. Government bought the ship and converted it into a vessel to strengthen the blockade patrols. (A little ironic, huh?) The money from the auction then got split; the government got half, and the remainder of the prize funds were divided among the regional and squadron blockade commander and the captain and crew who captured the ship. Some U.S. navy officers made a small fortune through the prize money. For example, one lucrative capture earned the captain $13,164.00 while his crew each receive about $1,000.00. That was seriously good money for that era! What happened to the captains, engineers, and crews of the blockade runners? Well, it’s a little complicated. Many were civilians. Some were Confederate naval officers using their seamanship skills to bring in supplies on merchant ships. Some were Europeans. But there was one common factor: one way or another they were all engaged in an activity that helped the Confederate war effort. The captains and crews were held and oftentimes sent to prisons, until they took some sort of parole, agreed to leave the country, or reached some other agreement. Quite a few went back to blockade running when they were released. Last week we talked about some of the strategies blockade runners used when exiting or entering the harbors. Speed was the greatest asset to avoiding capture. Manueverability might help the ship avoid or stay out of cannon range. However, if speed failed and the ship was going to be captured close to shore, many runner captains made the decision to literally wreck their ship. If they ran their ship aground, there was a chance that Confederate troops could come defend the cargo or the crew could burn the the ship to prevent it from falling into Union hands. 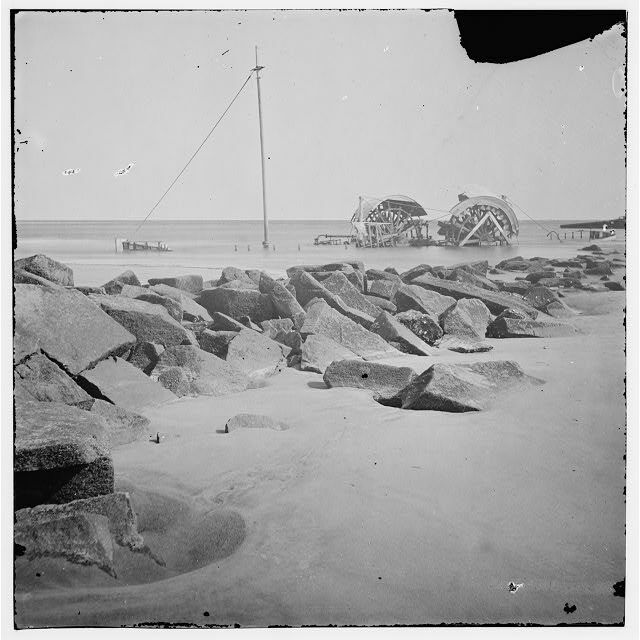 Along the Southern coastlines, there are wrecks of blockade runners; sometimes hurricane storms or other natural elements reveal these wrecks, telling an eerie story and reminding us of this often neglected aspect of Civil War history.